SBICI Bank is a wholly owned subsidiary of India's premier banking and financial services group, State Bank of India, and functions as. 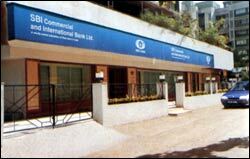 a Private Sector Bank with high quality standards. Our Bank has been awarded ISO-9002 quality systems certification for the Bank as a whole, covering all its products and services at all locations - a unique distinction for any Indian bank. We are a customer-focused technology-driven Bank offering the whole array of financial products and services. Rendering personalized service and striving towards building an enduring relationship of trust and confidence with our valued customers is our motto. Being small in size, we are a lean and flat organization able to respond to all your needs quickly and efficiently. 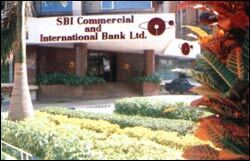 At the same time, being part of India's largest Banking group, we enjoy tremendous reach both nationally and internationally and bring to you the professionalism, expertise, experience, ethical standards and best practices of our Group (honed over almost the last 200 years) along with the warm feeling of security and safety that only a leader like SBI Group (with 13,000 branches in India and 52 offices in 34 countries all around the Globe) can provide. IN SHORT, WE OFFER YOU THE BEST OF BOTH WORLDS. needs our personal attention, Please fill in our feedback form, we will get back to you at the earliest..